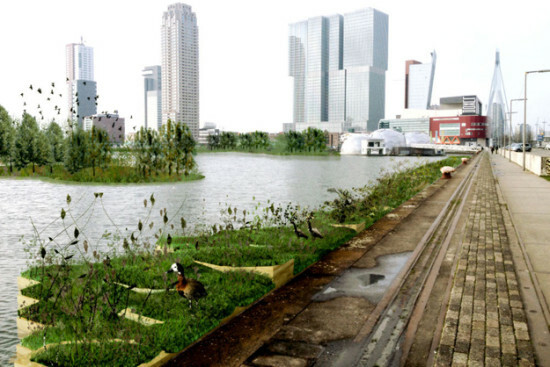 Considering how much trash Baltimore’s solar-powered Trash Interceptor scoops out of the city’s harbor—50,000 pounds a day!—these floating islands made from found plastic waste might just stand a chance. With the support of the Creative Industries Firm NL, WHIM Architecture is developing a prototype of their project, the recycled island, built primarily from recycled plastic waste gathered from the North Pacific gyre and the North Sea. 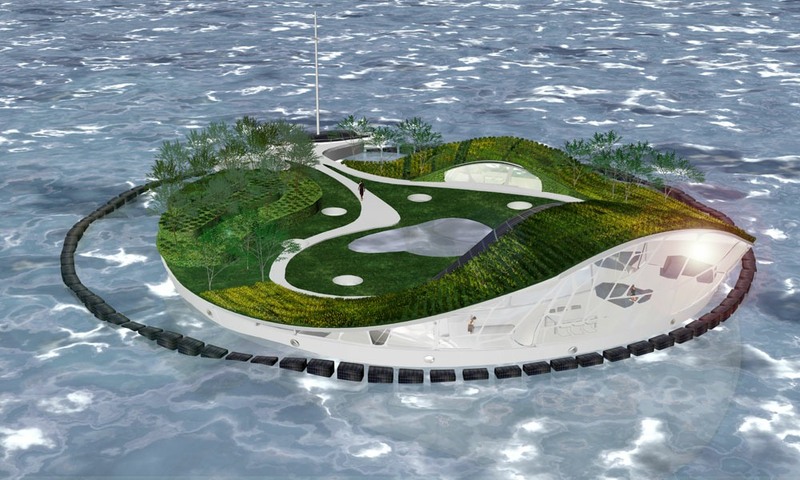 The prototype seeks to first try out the concept at a small scale by building a floating house surrounded by plants. 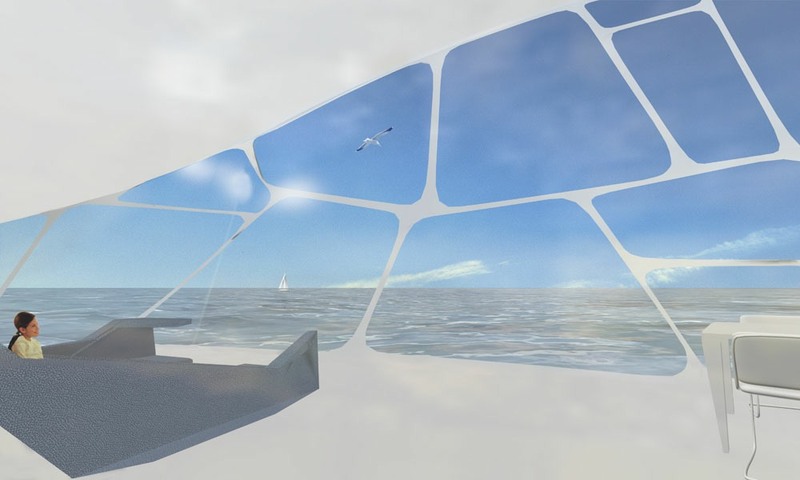 This “floating villa” will test the durability and practicality of plastic as a building material and be the test that determines whether the recycled island idea is plausible. There are four chief aspects of the prototype island: the platform, the balustrade, the roof, and the external wall. 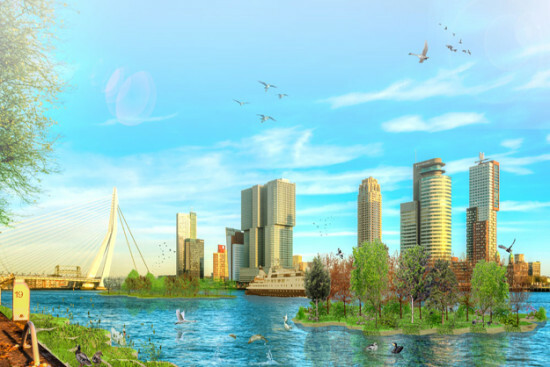 According to information provided by WHIM, the platform will be composed of hollow plastic blocks covered with vegetation while the balustrade will be made of hollow plastic blocks filled with soil to support the aforementioned vegetation. 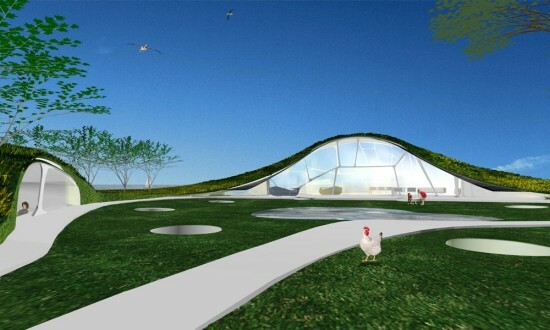 Both the roof and the walls will be made of blocks filled with non-recyclable waste. 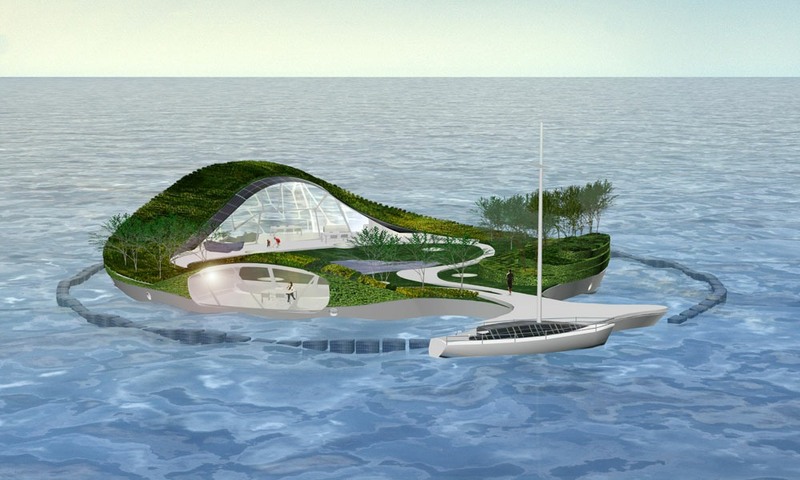 While the designers are currently working on a prototype island of a smaller size, the actual recycled island would be approximately the size of Hawaii’s main island. 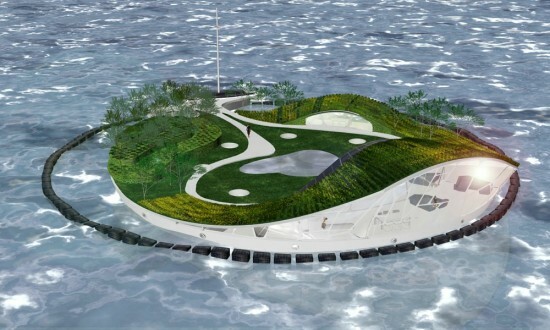 This rather sizeable floating island will sit on the Maas River in Rotterdam and act as a station to collect waste before it empties out into the North Sea. The repurposing of plastic waste would then give the litter new economic value and may encourage people to hold onto their trash rather than improperly throw it away. 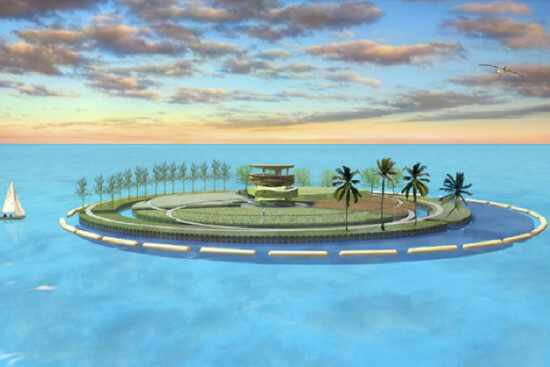 Therefore the recycled island may help combat pollution and waste problems on two fronts: one by collecting waste and building with it and another by discouraging people from littering. I live in the American Gardens Building on W. 81st Street on the 11th floor. My name is Habin Kwak. I'm 19 years old. I believe in taking care of myself and a balanced diet and rigorous exercise routine. In the morning if my face is a little puffy I'll put on an ice pack while doing stomach crunches. I can do 1000 now. After I remove the ice pack I use a deep pore cleanser lotion. In the shower I use a water activated gel cleanser, then a honey almond body scrub, and on the face an exfoliating gel scrub. Then I apply an herb-mint facial mask which I leave on for 10 minutes while I prepare the rest of my routine. I always use an after shave lotion with little or no alcohol, because alcohol dries your face out and makes you look older. Then moisturizer, then an anti-aging eye balm followed by a final moisturizing protective lotion.